If you are an aromatherapy aficionado like me, then you’ve likely come across citronella essential oil. The most popular use of citronella oil is as an ingredient in natural insect repellents. The U.S. Environmental Protection Agency (EPA) even considers citronella to be a nontoxic bio-pesticide for use against insects. However, the citronella essential oil benefits go well beyond its natural pesticide status. 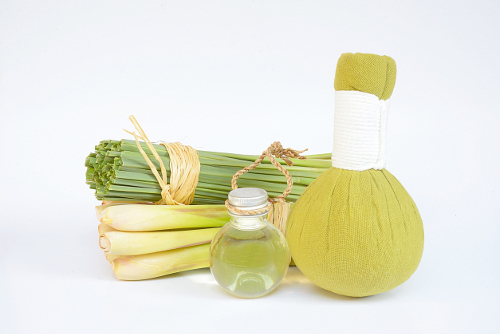 Various studies have found that citronella oil can also fight free radical damage, bacteria, and fungi; fight respiratory infections; reduce inflammation and muscle pain; promote relaxation; and support digestive health. Citronella is also a common ingredient used in perfume, beauty, and household products. Read on to learn more about citronella essential oil, its health benefits, and how best to use it. What Is Citronella Essential Oil? Citronella essential oil is derived from the perennial Asian citronella grass plant known as Cymbopogon nardus. Citronella belongs to the Poaceae grass family, and is native to tropical Asia and common in Southeast Asian teas and cooking. There are over 30 species of Cymbopogon grown throughout the world today, and there are two main types of citronella used for pure citronella essential oil: the Ceylon type and Java type. Both come from parts of Asia, including grassy areas of Sri Lanka. Ceylon citronella is made from the Cymbopogon nardus Rendle plant, and has a scent similar to wood, cinnamon, and citrus fruits. As for its active ingredients, Ceylon citronella contains 18% to 20% geraniol, 9 percent to 11 percent limonene, seven percent to 11% methyl isoeugenol, six percent to eight percent citronellol, and 5 percent to 15% citronellal. Java is similar and derived from the related citronella species called Cymbopogon winterianus Jowitt. Java citronella contains 32% to 45% citronellal, 11% to 13% geraniol, 3 percent to 8 percent geranyl acetate, and 1 percent to 4 percent limonene. Java is considered more powerful; therefore, it is often the more expensive of the two versions of citronella essential oil. It also has a fresher and darker scent that is similar to lemon essential oil and lemons. Citronella’s other active ingredients include linalool, terpineol, methone, myrtenol, citral, and citronellyl formate. From citronella’s active ingredients, the three most researched and respected include geraniol, citronellal, and citronellol. Citronella essential oil has been used for centuries in Sri Lanka, Indonesia, and China to help reduce infections, rashes, pain, and inflammation. Both types of citronella essential oil have several important uses, including skin rejuvenation, stress reduction, insect repellent, supports digestion, promotes relaxation, and fighting free radical damage, bacteria, and fungi. It also gives candles, household sprays, and lotions their signature scent. It is also a common natural food additive for preservation and flavor, and you will sometimes find it in desserts, drinks, and dairy products. Many of the health benefits of citronella essential oil can be attributed to its antiseptic, antispasmodic, diuretic, sweat-promoting, deodorant, antibacterial, antidepressant, anti-inflammatory, fever-reducing, menstrual flow-stimulating, insecticide, fungicidal, appetite-promoting, tonic, anti-parasitic, and stimulant properties. The following is further detail about some of the key health benefits of citronella essential oil. Since 1948, citronella has been registered as a gentle, natural insect repellent in the U.S. It has even been used to repel dangerous Aedes aegypti mosquitoes that are capable of spreading dengue fever, according to 2013 research published in the Journal of Environmental Science and Health. Citronella could also prevent flies, body lice, and head lice. Research suggests that applying citronella essential oil every 30 to 60 minutes will promote lasting bug repellent effects. Pure citronella essential oil can be applied directly to the body, and is reportedly more effective than citronella candles for repelling irritating bugs. Similar to other citrus oils, citronella essential oil contains compounds that could fight free radical damage, while also reversing oxidative stress. A review published in the Journal of Agricultural and Food Chemistry in 2000 would study 34 different citrus essential oils and their free radical-scavenging compounds. The researchers found that the geraniol in citronella essential oil had high antioxidant abilities for reducing cellular damage and inflammation. Citronella essential oil is common for relaxation and stress reduction, and studies have found that, when inhaled, citronella oil may reduce stress and pain in pregnant women. A 2014 study published in the Iranian Red Crescent Medical Journal found that common active ingredients of citronella like nerol, geraniol, phenyl ethyl alcohol, and linalool, reduced anxiety up to 71% during pregnancy, labor, and childbirth. Citronella essential oil may support digestive by decreasing inflammation while also detoxifying and cleansing the gut, stomach, and liver. Certain compounds in citronella oil prevent bacteria growth in the digestive tract. The oil may also kill parasites and worms in the colon and small intestine. Very small doses of citronella essential oil could possibly protect against leaky gut syndrome, and infections of the bladder, urethra, colon, kidneys, prostate, and gastrointestinal tract. As a diuretic and diaphoretic, citronella oil will increase urination and sweating, and improve the elimination of toxins from the body. Research published in the journal Phytotherapy Research in 2003 shows that citronella’s geraniol has potent anti-parasite activity; as such, it could effectively expel parasitic worms, leeches, and bugs by killing or stunning them without causing damage to the host. So, citronella essential oil has the potential to prevent both external and internal infections. A 2016 study published in the journal Acta Odontologica Scandinavica concluded that citronella and cinnamon essential oils have potential in the management of biofilm-associated infections like denture-induced stomatitis—an oral infection caused from Candida albicans biofilms. There are many other great uses of citronella essential oil. Aromatically, it can be diffused in your home or backyard for taking care of bugs. You can also inhale the essential oil directly from the bottle. From a topical standpoint, citronella oil should be diluted with carrier oil like jojoba or coconut oil in a 1:1 ratio before being applied to your skin. A few drops can also be added to your body wash, lotion, soap, shampoo, or bath. For internal use, it is best to purchase a high-quality 100% therapeutic grade citronella essential oil from a reputable company. Citronella oil can also be added to water, or taken in a vegetable capsule, added to a smoothie, or mixed with raw pure honey. Citronella may help improve blood flow and reduce muscle tenderness and spasms. It is also believed to be effective as a natural osteoarthritis and rheumatoid arthritis treatment. Simply massage a few drops of citronella oil with carrier oil like jojoba oil when dealing with cramps, pain, or swelling of the muscles, joints, or tissues. Citronella oil is common in candles, perfumes, cosmetics, soaps, and incense. You can even deodorize the scent of your dishwasher, laundry machine, refrigerator, and other parts of the home from diffusing a small amount of citronella oil around your household appliances. As a proven antibacterial and antifungal substance, citronella oil can clean bathroom, kitchen and household surfaces without the need for harsh chemicals. The compound methyl isoeugenol is particularly effective for decreasing bacteria and food-born pathogens. Citronella oil is popular for cleansing and conditioning the scalp and hair while also helping to eliminate greasiness of hair and fighting dandruff. Add several drops of citronella essential oil to your conditioner or shampoo. Directions: Place all ingredients in a 16-oz glass spray bottle with purified water. It should be about three-quarters full. Add the tea tree oil, lemon essential oil, liquid castile soap, and citronella essential oil. If there is room, fill the bottle with more purified water. Put on lid, and shake well to combine ingredients. Directions: Combine all ingredients in an eight-ounce glass spray bottle. Spray all over body; although avoid the mouth and eyes. Is Citronella Essential Oil Right for You? According to the EPA, citronella essential oil has little-to-no toxicity when used on the skin as an insect repellent. The U.S. Food and Drug Administration (FDA) also lists citronella oil as generally recognized as safe when used topically. That being said, the EPA requires labeling on certain insect repellents that contain citronella oil so that it can be used safely. High-quality citronella essential oils are even considered safe for children and most people with sensitive skin. However, it is still a good idea to start with small amounts of citronella oil since some individuals may experience skin irritation. You can even perform a skin patch test to make sure allergies, hives, swelling, or redness is not a problem. It is also important to consult your doctor before using citronella oil while pregnant. It may also raise heart rates in certain individuals. Lawless, J., The Encyclopedia of Essential Oils: The Complete Guide to the Use of Aromatic Oils in Aromatherapy (San Francisco: HarperCollins Publishers Ltd., 2013), 83-84. Gentles Fite, V., Essential Oils for Healing: Over 400 All-Natural Recipes for Everyday Ailments (New York: St. Martin’s Griffin, 2016), 27. “15 Incredible Benefits of Citronella Essential Oil,” Organic Facts; https://www.organicfacts.net/health-benefits/essential-oils/health-benefits-of-citronella-essential-oil.html, last accessed June 9, 2017. “Citronella Oil: More Than Just a Bug Repellent,” Mercola, June 9, 2016; http://articles.mercola.com/herbal-oils/citronella-oil.aspx, last accessed June 9, 2017. Kumaran, A.M., et al., “geranoil, the putative anthelmintic principle of Cymbopogon martini,” Phytotherapy Research, September 2003, 17:8, 957; https://wwww.unboundmedicine.com/medline/citation/13680833/Geraniol_the_putative_anthelmintic_principle_of_Cymbopogon_martinii, last accessed June 9, 2017. Choi, H.S., et al., “Radical-scavenging activities of citrus essential oils and their components: detection using 1,1-diphenyl-2-picrylhydrazyl,” Journal of Agricultural and Food Chemistry, September 2000; 48(9): 4156-4161. https://www.ncbi.nlm.nih.gov/pubmed/10995330, last accessed June 9, 2017. Kheirkhah, M., et al., “Comparing the Effects of Aromatherapy with Rose Oils with Warm Foot Bath on Anxiety in the First Stage of Labor in Nulliparous Women,” Iranian Red Crescent Medical Journal, September 2014; 16(9): e14455, doi: 10.5812/ircmj.14455, last accessed June 9, 2017. Wong, C., “Citronella,” VeryWell; https://www.verywell.com/citronella-what-you-should-know-about-it-88777, last updated January 7, 2015. Hsu, W.S., et al., “Formulas of components of citronella oil against mosquitos (Aedes aegypti),” Journal of Environmental Science and Health, 2013; 48(11): 1014-1019, doi: 10.1080/03601234.2013.816613, last accessed June 9, 2017. Almeida Lde, F., et al., “Efficacy of citronella and cinnamon essential oils on Candida albicans biofilms,” Acta Odontologica Scandinavica, July 2016; 74(5): 393-398, doi: 10.3109/00016357.2016.1166261, last accessed June 9, 2017.